Should I Remove My Tree Stump? | Mr. Tree, Inc. If you have ever had to remove a tree from your property, you know that actually cutting down the tree and having it carted away is the easy part. As long as you have a good arborist handle the project for you, removing a tree is generally pretty painless in most cases. A tree stump can become a home to invasive species. Having a living tree on your property can be a real treat for nature lovers, inviting animals, birds, and beneficial insects such as honeybees and ladybugs. Once the tree has been removed, however, the wildlife that tends to show up can be anything but beneficial. For example, a dead tree stump can become a very inviting home for termites or carpenter ants. As they use up the resources available to them in the tree stump, these pests will seek out a new place to colonize. They can potentially end up moving to a healthy tree nearby, putting it at risk. Occasionally, termites can even decide to move from a tree stump into the wood of your house, giving you a costly headache as they devour the foundation of your home. Besides unwanted insect visitors, tree stumps can also begin to sprout fungi, many of which are toxic and can pose a threat to pets and small children. Even after a tree has been cut down, the roots of the tree can continue to grow for a while. Tree roots are extremely thirsty and will seek out water wherever they can get it. They can end up growing into pipes and causing them to burst, depriving your home of its water supply or, worse, leading to floods. Aggressive roots can also cause sidewalks to buckle and create any number of other problems around your home. Too often, the problems caused by aggressive tree roots remain unseen until it is too late. That’s why it is often best to simply remove a tree stump as quickly as possible. Portland residents trust Mr Tree for completely removing tree stumps each month. A dead tree stump, sitting on your property, has few practical uses. What it will do, however, is create a potential safety hazard to anyone who uses the property. 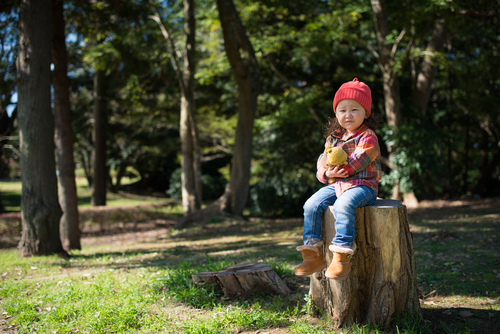 If you have children that like to play around your trees, for example, a tree stump can be a real problem if they trip over it or tumble into it. Roots that are growing out of control can also lead to potentially unseen hazards, creating a danger of tripping for your children and visitors. In the interest of safety, removing tree stumps is usually the best choice if an area is active. If you have a big tree stump sitting somewhere on your property that area cannot really serve any other purpose. An area with a tree stump is effectively a dead space, without much use to anyone. If you remove the stump, however, you open up room for nearly anything you might want to place in the area. You can plant another tree, or you can put a picnic table there, or you can simply leave the area open for kids to run around and play on your other trees. But if there’s a stump there, that space is simply not going to be used. Studies have been done on the benefits of having a tree on your property. Planting trees are among the best things you can do for your health and well-being; providing a beautiful source of fresh air and stress relief. Trees bring in beneficial and attractive wildlife and offer a place to enjoy the shade and for children to play. Trees can also offer fruit and help give you privacy. For all these reasons, having a tree can give a – sometimes dramatic – boost to the value of your property. An ugly dead tree stump, however, has the opposite effect. An eyesore without any real practical use, your home will be less valuable while the stump is there. After all, who wants to invest in a property with tree stumps just sitting around everywhere? If you remove the stump, however, and replace it with a healthy new tree, the value of your home will go right back up. So what do I do about a tree stump? There are several ways that you can remove a tree stump from your property. You can burn the stump, rot the stump, or grind it down with a stump grinder. A stump grinder is the fastest way; you will just have to rent one from a local hardware store and you can grind the stump down to almost nothing in one weekend. The other methods are much slower, although they do not require costly equipment rental. To burn a stump, you just have to drill a few holes all around it and fill them with potassium nitrate. Allow this to soak in, which may take a few days, and then use a match or lighter to start the stump burning. It will smolder for a while, and eventually become relatively easy to break apart and dig out. If you undertake a task like burning or rotting a stump on your own, there are potential risks involved in that too. For example, if your stump does have termites, they might decide to move into your home while the stump is burning. Removing a stump safely, then, should usually be done with the help of a professional arborist. In the Portland area, Mr. Tree is your best bet. We are able to remove stumps quickly, safely and effectively, bringing the value of your home back up and making it safer and ready for more planting!